Bring the stock to the boil along with all the other ingredients up to and including the cloves, reduce the heat, simmer for approx. 15 mins. Pour the stock through a sieve into the fondue pot, keep warm on the burner. Steep the fish and vegetables in the stock, in portions. Eat with sauces of your choice. 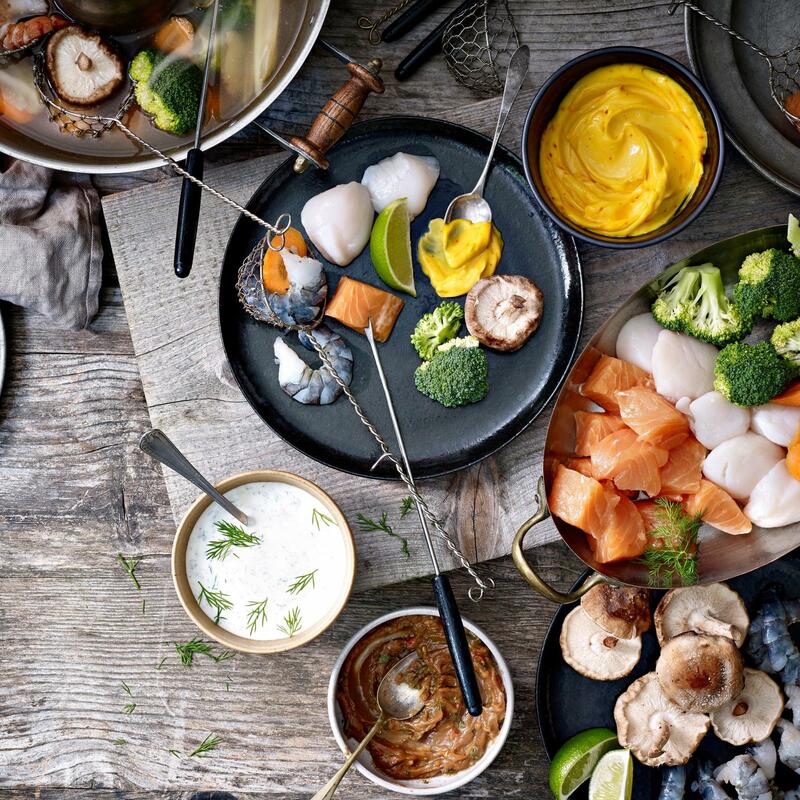 If desired, after eating the fondue, strain the stock, bring it to the boil and serve in warmed soup dishes.